 Meghann’s primary responsibility is generating contracts between Arts for Learning Connecticut, its participating artists and performers, and the performance venues served by AFLCT—including schools, libraries, senior and community centers, etc. She contracts over 1,200 AFLCT performances, annually—while ensuring that agreements are properly executed and returned in a timely manner, then filed for future reference. Meghann brings extraordinary depth of experience in arts-related operations to AFLCT, having worked in key positions with Jazz at Lincoln Center (NYC), the Hartford Symphony Orchestra, and Eastman School of Music—among other renowned performing arts organizations. Meghann handles AFLCT programming inquiries, liaises with artists and venues, and generates e-blasts to the organization’s client and donor databases. She also writes press releases and maintains AFLCT’s Annual Program Catalog, among other duties. Meghann received her Bachelors Degree in Music from Eastman School of Music. Additionally, she studied at the John F. Kennedy Center for the Performing Arts, and is a 2008 Graduate of the DeVos Institute for Arts Management Fellowship Program, Washington, DC. Meghann enjoys time with her family at home in Durham, as well as hiking, swimming, baking, gardening and playing her flute.